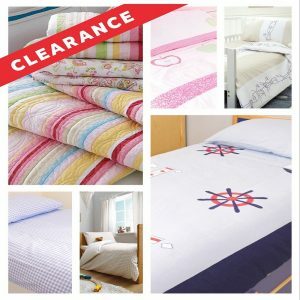 For this weekends sale, all of our luxury children's duvet covers are up to a whopping 60% off! We hand select all of our products for luxury and quality, from our kids beds to our wall clocks. This includes our range of duvet covers. We have a fantastic range of girls duvets to choose from as well as a super comfy range of boys duvets to choose from also. Each week for the next 2 month will see flash sales each weekend for a range of our products. Who doesn't love a good sale? All of our products are ideal for revamping your childs bedroom. If you have purchased from us before, whether that be a cabin bed, captains bed, toddler bed, wardrobes or chest of drawers - we have a range of items to match! As well as selling luxury quality children's beds, we also sell a range of unique and alternative childrens bedroom accessory's to really style up the bedroom. Your little one is sure to love our range of items that will match their new furniture perfectly. Keep an eye out over the next few weeks to take advantage of our sale! All sales are posted on our social media pages, make sure you follow us!